The hard part of this is looking at a lake and finding these places. Unlike the deer hunter who can see were he wants to set up, the bass fisherman must use depth finders and lures in a world that cannot be seen. Maps can give us the general location and then it is up to us to figure out the rest through trial and error. Good electronics help but you do not have to have them. The Carolina Rig and the Crankbaits are two of the best structure finders in the world. The same approach should be taken with bass fishing as with deer hunting. You need to get into the head of the hunted. By learning the behaviors of your prey, it will only provide you with a better chance of obtaining it. A bass would set its stand in the best place to ambush prey as they go about their daily activities. Let’s say a bass arrives upon a point. Were should he set up? A bass would probably set up in the heaviest cover near the deepest water, preferably a creek or a river channel. Why? Well, shad swim in schools. They also use the channel as a travel route to and from the feeding areas. The bass’ cover would be the shads’ food source. Plankton and algae grow on the wood cover that the bass is set up in and the shad would come right to the bass or close enough that he could get to the shad in a surprise attack. The deep water would also work in the bass’ favor were he being hunted. The bass could then escape to the deep water, or if the weather changed and the water became colder, the bass could find comfort in the deeper, warmer water. 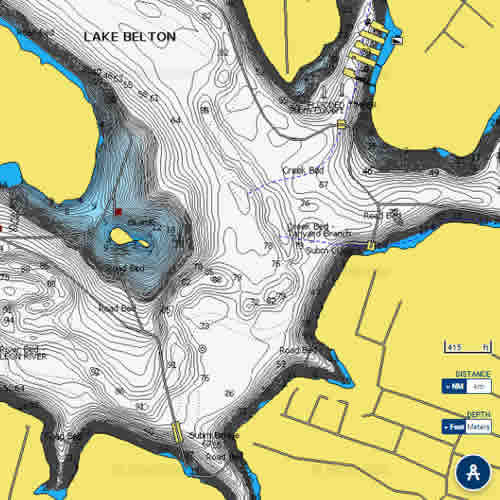 The biggest bass will have the best spots to hunt from. Why? Because over time they have learned, through trial and error, that this is the best spot to ambush prey. Some stands are just better than others. They did their homework. Just like we should when we go hunting or fishing. What about calling deer? We read every year about rattling antlers and grunt calls for deer. What has the lure industry given us in the way of calls for bass? Rattles in the Crankbaits that we use are one choice; brass and glass sinkers for Carolina Rigs are another. Then there are deep-cupped spinner bait blades, rattles on jigs—anything to get the bass’ attention and send out vibrations in the water. You don’t want to spook the fish in the area. Scent is one that can be debated by everyone. It has been working to attract deer for years. 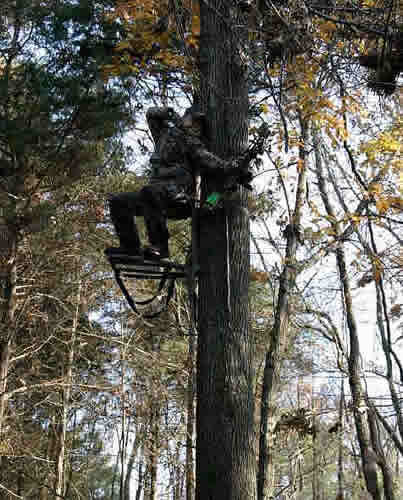 Deer hunters use scent to cover smells that are not natural in the woods. Scents are used for the same reasons in fishing as they are in hunting, or at least I think they should be. Anything that could give you the advantage should be used. Besides, what could it hurt? Wind direction plays an important part of deer hunting, as it should in bass fishing. When hunting we want the wind in our face. So do bass. They will face into the wind or the current that the wind has caused, because that is the direction that the food will come. Windy points are prime feeding areas. The wind breaks up the light penetration, and it stirs up the water causing the baitfish to feed and in turn the bass. The Internet has brought tons of information on bass fishing and bass behavior, but when it comes right down to it, we are still hunting. Try some of these above-mentioned techniques used for deer next time you go bass fishing. You might be pleasantly surprised at what happens. As a matter of fact, next time you go deer hunting, try some of your bass fishing knowledge to get that elusive buck you are after. It works both ways. Trust me.